Ted Bundy died on the electric chair in a Florida prison in 1989, because he was convicted for murdering 3 women. He confessed to killing around 30, while he’s suspected of having murdered close to a 100. What is there then to learn from such an evil being, you’d ask. Anyone who’s read even the slightest about Bundy would know about the gruesome nature of his crimes. He bludgeoned most of his victims, raped many of them, and had repeatedly bitten one of the girls, which eventually turned out to be telling proof that lead to his conviction. By no stretch of imagination was he a good person, but he was a sort of a genius. Ted Bundy was sharp, articulate and self-respectful. He could have gotten away from the electric chair if he had pleaded insanity, but he was too proud to show himself as mentally incapable. He would rather be dead. Apart from the second goal, the other 5 are goals that each and every one of us should have. I’ll elaborate why. Even though the dictionary lists ‘desire’ and ‘need’ as synonyms, there’s a thin line between the two. Here, the ‘want’ that Bundy refers to is ‘desire’. We should seek freedom from want because we tend to desire a lot of things that we don’t really need. This is the widely-known principle of minimalism. There are a very few things that we need to live our lives, having those is more than enough. Desiring or wanting more things only leads to higher expenses, more complications and unnecessary hoarding. When we’re able to suppress our desires, we’re able to simplify our life and enjoy the things we already have rather than running after more and more of them. Many of us tend to think we’re lost souls; it’s almost fashionable to do so. But each one of us has some guiding light within ourselves that we end up ignoring. You may not be good at many things, but there would be something that sets you apart from others. Quite often, this something is recognised by those around you, even when you’re unaware of it. I’ve experienced this; I’ve become aware of it when someone I know sought me out to guide them with a particular thing. And when I did, it was a helping hand for them and a revelation for me. To guide someone is extremely gratifying, more so when it is with their consent. Do that, but refrain from giving unsolicited advice. Only jerks do that. Boredom is a mind-killer. Boredom is like quicksand, once you set foot in it, it pulls you in deeper and deeper, making it nearly impossible for you to get out of. Do whatever you have to, do whatever you can, but avoid boredom at all costs. It numbs you. Thankfully, with the internet and gadgets we have today, it is fairly easy to not get bored. There’s always something to read, music to listen to, social network to visit, games to play, movies or videos to watch, websites to surf, et al. There are enough options available today to do something constructive with your time. And if you don’t feel motivated or inspired, there are also enough time-wasting activities you can do to avoid boredom. Boredom is a crime you’d commit on yourself. If nothing else, just go for a walk. Ted Bundy was immensely self-fulfilled. His goal was to get out of prison, and when he wasn’t satisfied with the lawyers the court appointed for him, he fought his case himself. He made the required efforts himself, without waiting for someone whom he thought was worthy enough to rely upon. Of course, he wasn’t above the law, so he failed. But there is something to be said about how self-fulfilled he was. Unlike so many people today. We rely on others to do our work for us, and of course, we end up deeply disappointed. And whose fault is that? No one in this world cares as much about your ambitions and goals as much as you. Why would you expect someone else to realise them for you? Do it yourself, be it a small task or a big ask. No one will do it as well as you anyway. This is probably the easiest thing to say, but the toughest thing to do. As I write this, I can think of so many people I personally know who’re never going to live their life their own way. It’s disheartening that only a few can. I’m trying. And it’s tough, largely because those of us who don’t live isolated lives would end up hurting our loved ones if we decided to relentlessly pursue this goal. But even if we can’t live our whole life our way, we should be able to live at least parts of it the way we want to. Not every part of our life should be influenced, advocated and scrutinised by someone else. Nor should it be answerable to anyone. And it is our duty to our own self to make sure that that doesn’t happen. It’s your life, live it your way, even if only a part of it. I’m not going to elaborate on the second goal written by Bundy, because one shouldn’t be guiding the actions of others. That goal goes against all of his other goals, which is what turned him into a criminal. This is also what differentiates the good guys from the bad. And it brings me to the caveat of the other 5 goals – one shouldn’t cause any sort of harm to anyone else. This is the line that shouldn’t be crossed. 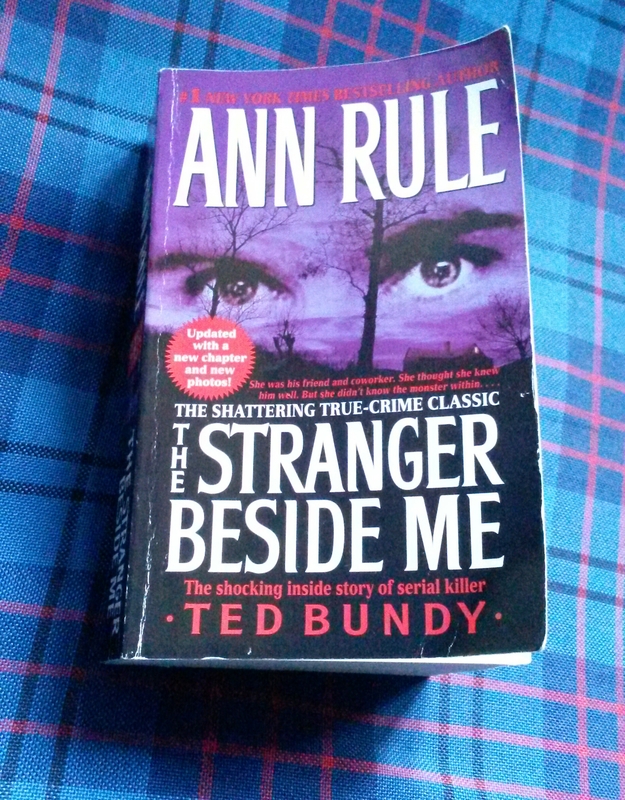 When I first came upon Ted Bundy’s goals in Ann Rule’s book, I was dumbfounded by how much I could relate to them. These were things I believed in, things I practiced. How could my philosophies be so similar to those of a mass murderer, I wondered. But then I realised that Bundy was also a human being, just that he went astray. He ruined his life and the lives of an uncountable number of people, because he kept doing the wrong things. I don’t know whether he could recognise his wrongdoings or not, but only if he hadn’t done them, I’m sure he would be just as famous as he is today, albeit for better and positive reasons.